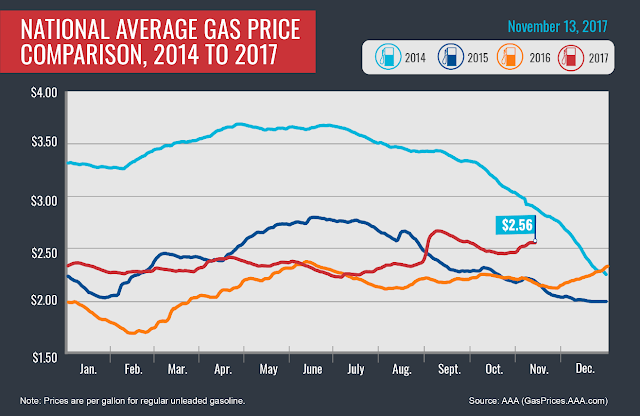 At $2.56, the national gas price average has increased nine cents inside of 13 days, according AAA. The nation’s top ten states with the largest weekly changes are Florida (+13 cents), Indiana (-13 cents), Alaska (+12 cents), Ohio (-10 cents), Georgia (+7 cents), Oregon (+7 cents), North Carolina (+6 cents), Illinois (-6 cents), Texas (+6 cents) and South Carolina (+6 cents). Strong fall consumer gasoline demand has continued into November and is chipping away at national gasoline inventory. 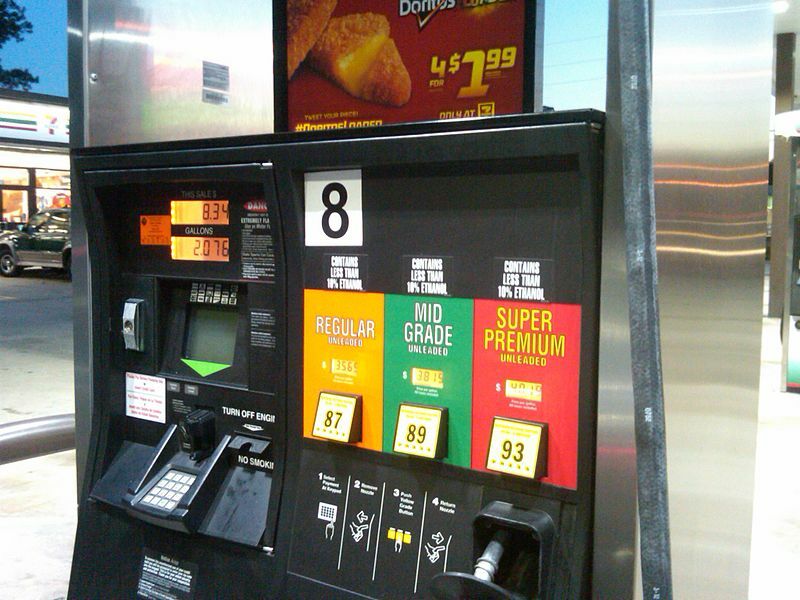 The Energy Information Administration (EIA) reports total gasoline inventories dropped by 3.3 million bbl in their latest report.